Please click on the TrainingPeaks logo’s above for more information. 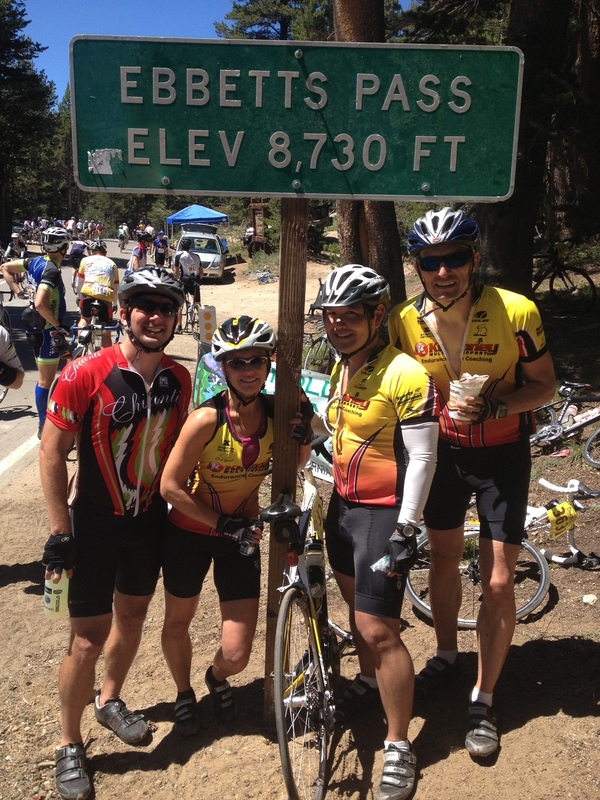 "I came to coach Kinney after training for a half-ironman by following an online training program. Ultimately I did the race, but found myself cramping because I did not understand how to pace and train the correct way. After working with coach to do the same race the next year, I dropped 35 minutes from my overall time and finished feeling great. As a vice president at a startup company in the Silicon Valley, I travel a lot, Coach Kinney always helps me keep my training on track and accommodating my travel schedule. He monitors my training, diet and schedule and is always optimizing it to fit my career while also continuously making me a better athlete. "In my 40s I suffered from lower back problems and my doctor suggested that I lose weight to lessen the load on my back. I stared to run regularly, but would often injure a knee, hamstring, calf, etc. I decided that running alone would not work for me. I started to mix in swimming and biking and signed up for my first sprint-distance triathlon. The encouragement of other competitors and sense of accomplishment hooked me. I decided that in the next summer I would try to enter one triathlon per month. I was able to complete two Olympic distance triathlons and one ½ marathon. At the end of the summer, I wondered what I could do next? 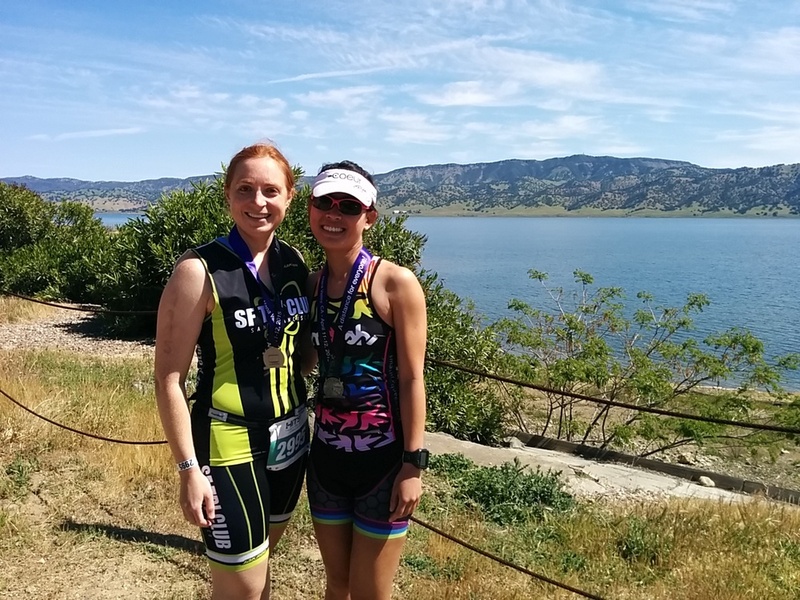 Could I ever finish a ½ Ironman (70.3 distance) triathlon…the Olympic distance times 2? After reading two books, I still felt the goal was impossible. 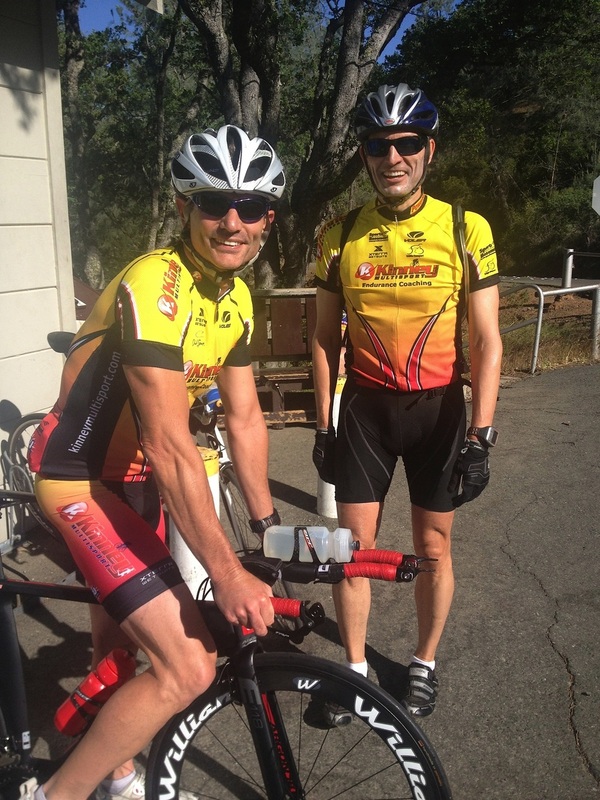 I found Coach Paul and on our first session he convinced me that a ½ Ironman triathlon was an achievable goal. Coach Paul evaluated my fitness and developed a custom program with specific workouts each week. 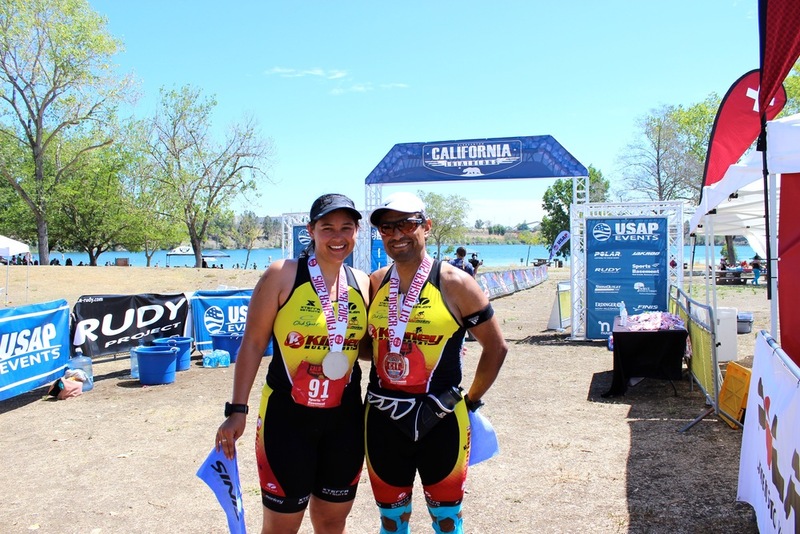 He kept me almost completely injury free for the full 8 months leading up to my first ½ Ironman. I must have asked 1,001 questions along the way and Paul would patiently answer each one. He gave me encouragement and stretch goals. He adjusted my workout schedule when work and life made it impossible to get everything done. There was a point late in the training when for the first time I thought I might be able to really do this. That realization carried me through my entire ½ Ironman experience. I came down the finish chute with pure joy in my heart and immense gratitude for my coach, Coach Paul. My fitness has improved dramatically since starting with Coach Paul. At the shamrock run ½ marathon, I reduced my time by 33 minutes from the previous year and in a recent 10k, I beat my personal best time by 21 minutes. I am still managing my back through fitness and core training. My back pain episodes are few and far between, and much less severe. 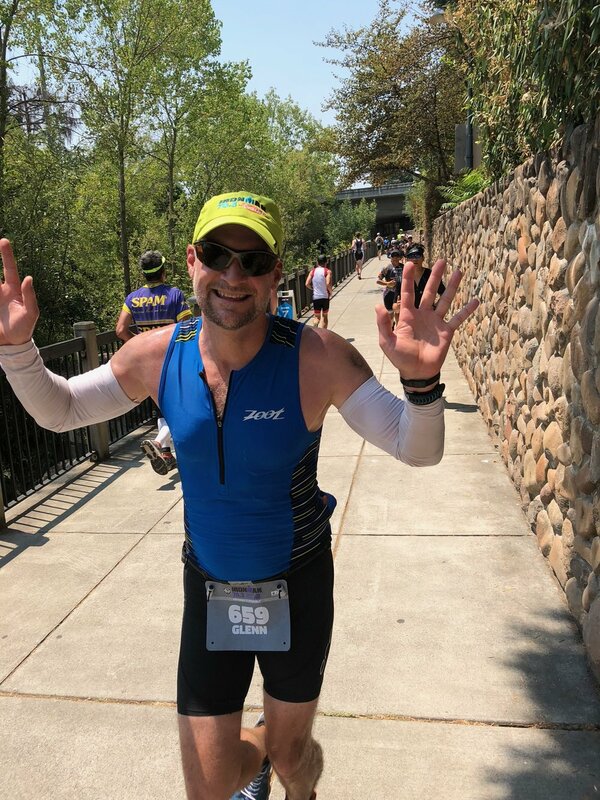 I owe a great debt of gratitude to Paul Kinney of Kinney Multisport not only for helping to improve my quality of life, but also for leading me to discovering that nothing is impossible." The individuals and companies listed below are resources that Kinney Multisport utilizes for their expertise in their given specialties. They are considered valuable partners to help keep all our athletes performing at their best. We focus on one area only: bicycle power meters. We don’t deal with other bike parts or components, clothing, coaching or anything else that can distract us from what we love – yes, power meters! Our singular focus means we are your power meter specialists – and can offer you the best possible advice and service. It also means a larger selection (we’re adding more products all the time) and more power meter-related content and resources. Chelsey Vaeth is a certified massage therapist with over 14 years experience. With certifications from swedish to prenatal, her main focus is helping athletes get back to what they love most. She specializes in deep tissue, sports, trigger point therapy, and acupressure, with advanced certifications in cupping therapy. Chelsey also has extensive training in sports injury, back and neck pain, as well as chronic pain syndrome. Dr. Jess’ (from Innersport Chiropractic) mission is to identify the weak links, observe technique and training errors, and correct dysfunction so the runner can perform optimally and reduce the risk of injury. Through years of research, conferences, and treating hundreds of runners, Dr. Jess found the best way to identify weak links is to watch them run with state of the art software as well as put them through several dynamic movements and tests to break down the running stride. Ironhorse PT and Pilates treats each athlete holistically and understands how each area of the body is linked to another. We start by doing a comprehensive evaluation of your movement patterns and identify areas of dysfunction and pain and how they relate to each other. Based upon those findings, we tailor a rehab program specifically for the athlete. We use cutting edge techniques and methodology i.e. cupping, ART, pilates, kettlebells, etc. to help you repair and recover from injury and optimize athletic performance. We can also design a sports-specific workout program or post-rehab program for athletes who have just finished rehabbing their injury. Innersport Chiropractic’s vision is to create a holistic approach to healthy, active living whether you are an athlete or a weekend warrior. Our objective is to help patients remove as many physical barriers in life. The care and treatment of every patient is designed to improve overall physical and mental well-being. Gone are the days of getting a standard bike fit involving plumb bobs and goniometers. Today, we have more reliable, accurate, and scientific technology to get a cyclist in a more efficient and sustainable position. Combine the recent advancements in technology and our experience and research in sports medicine, we have the unique ability to understand the bike and the cyclist’s body (from a stability, mobility, biomechanical, and physiological perspective) and how they can best co-exist out on the road or dirt. Kinney Multisport brings over 14 years of endurance coaching experience to its clients. The company was formed to provide endurance athletes of all ability levels with the knowledge, structure, accountability, expert guidance and feedback to educate and motivate individuals to attain their fitness goals and race to their full potential. 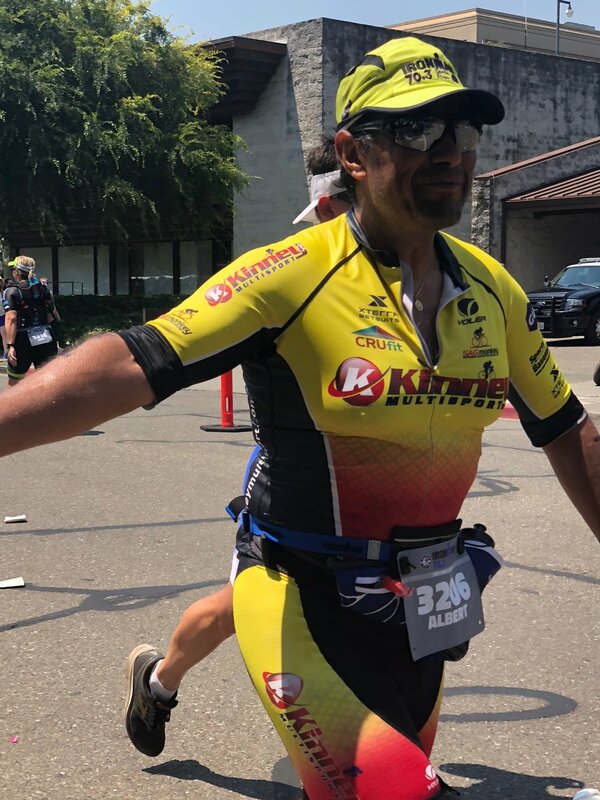 Via this philosophy and support structure, Kinney Multisport has assisted over 100 athletes in achieving their dreams of completing an Ironman and more than 500 other clients to compete at various endurance sports events around the world. For us, coaching is about using a combination of science and practical experience to help athletes develop long-term success. All athletes undergo baseline physiology testing, and various objective performance evaluations. We pay attention to the numbers that data provides, but we also need to good communication and feedback from the athlete to further interpret the data to provide a clear, concise picture of the athlete’s progression. Utilizing analytics is one more way to gain an edge in improving each athlete’s performance. 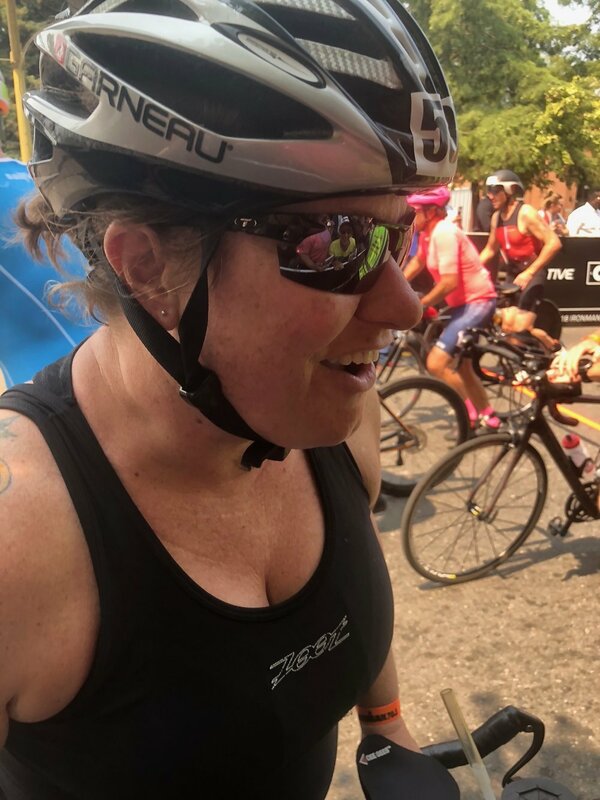 "My first ever Ironman was a truly amazing experience and I can safely say it wouldn't have been that way without the coaching and support of Paul. His knowledge and experience is amazing and he is also a great person." Check back soon. Photos will be updated shortly.